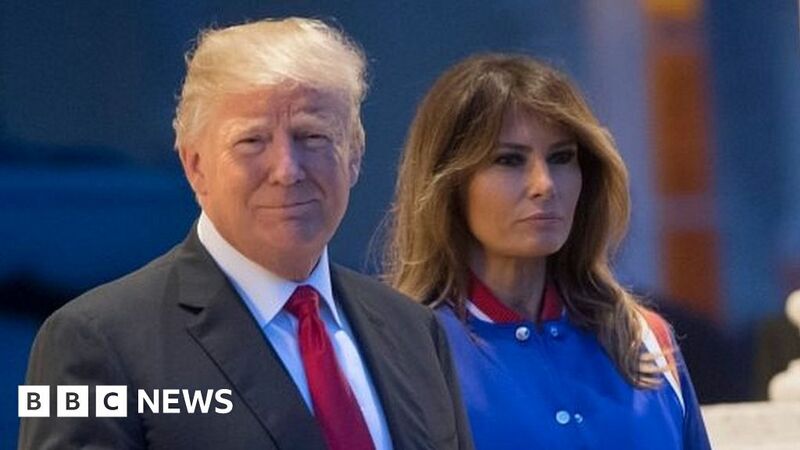 US President Donald Trump has claimed the NHS is “going broke and not working” as he targeted rival Democrats pushing for a universal health system. In his tweet he also said “thousands of people are marching” about it. This was believed to be a reference to a Save the NHS march on Downing Street on Saturday demanding more funding for the health service. UK Health Secretary Jeremy Hunt hit back on Twitter, saying he was “proud” of the UK’s system. President Trump’s tweet came after ex-UKIP leader Nigel Farage appeared on Fox And Friends, one of the president’s favourite shows, talking about the weekend march. “Dems want to greatly raise taxes for really bad and non-personal medical care,” Mr Trump tweeted. In response, Mr Hunt said that while he “disagreed with claims made on that march”, no-one wanted “to live in a system where 28 million people have no cover”. NHS funding has been hotly debated in the UK as hospitals struggle to cope with the pressure on resources. A panel set up by the Liberal Democrats – the fourth largest party in the Commons – has called for a ring-fenced tax to fund the service, saying an extra £4bn was needed for next year and an additional £2.5bn for both 2019 and 2020. Lib Dem leader Sir Vince Cable urged the US president to read the study, “to find out how to fund a universal healthcare system”. The government says NHS funding “is at a record high”.